[i] Twelve (12) units of Toner Cartridges for MONO Printer. [ii] Ten (10) sets of Colour Toner Cartridges[C/M/Y/K] for Colour Printer. In One Year Usage Basis. [ worth RM3142.00] ; [3 Yrs On -site Warranty]. 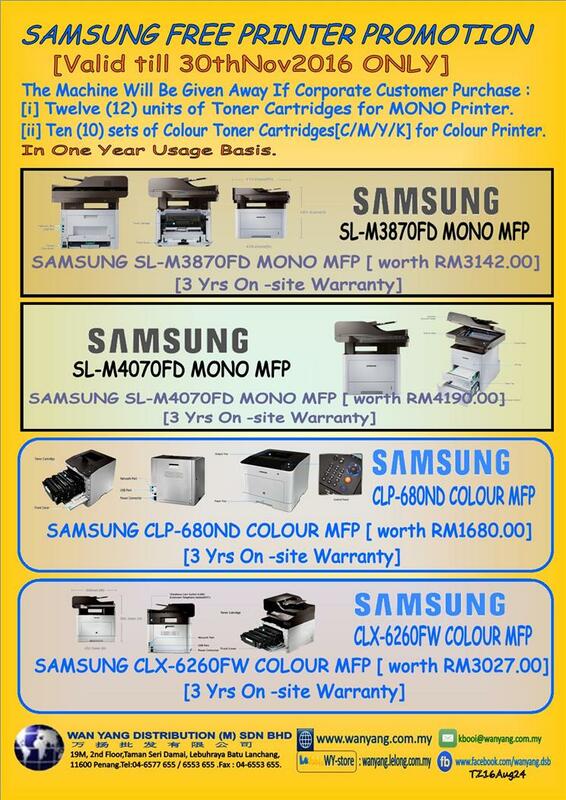 [ worth RM4190.00] ; [3 Yrs On -site Warranty]. [ worth RM1680.00] ; [3 Yrs On -site Warranty].